West Virginia gun laws are some of the most relaxed in the United States. 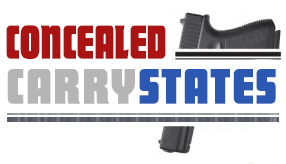 The state is a constitutional carry state, which means WV concealed carry permit rules are virtually non-existent. West Virginia lawmakers believe that everyone has a constitutional right to carry a firearm. But there are a few common sense restrictions in place that ensure that safety comes first. A person doesn’t need a permit or license to carry as long as they’re at least 18 years old. The person must also be allowed to legally carry a firearm under state and federal laws. Concealed carry is different, and if you want to be able to conceal carry, you need to be at least 21 years old. Persons that are between the age of 18 and 20 will be required to have a provisional CHL license. Provisional. A provisional license is available for anyone between the age of 18 and 21. Optional. The optional license is for anyone that is older than 21 years of age and wants to be able to obtain their license even though they live in a constitutional carry state. You will need to show proof of live firing. You’ll also need to take a handgun safety and training course. New permits will take 45 days to process at a cost of $75. You will be contacted when it’s time to pick up your permit or license. If you’re a non-resident, you will not be allowed to obtain a CHL from West Virginia. HOW LONG ARE CHL LICENSES VALID FOR IN WEST VIRGINIA? When you obtain your license, there will be two different expiration dates, depending on the license obtained. Provisional CHL licenses expire when the licensee turns 21. HOW LONG IS A CONCEALED CARRY CLASS CERTIFICATE GOOD FOR IN WV? There is no mention of how long your class certificate is valid for in the state, but all applicants must apply with a photocopy of their certificate of course completion. If a certificate is not provided, the instructor must provide an affidavit of completion or another document that verifies that the licensee successfully passed their training. You’re not required to have your permit if you’re 21 or older, but if you do want to continue with your permit, there will be a renewal required every five years. The current fee for a CHL license renewal is $75. When you apply for renewal, the signature must be written in front of a notary. All applicants will need to undergo an NICS background check before being approved. But unlike other states, private sellers are not required to conduct a background check on the applicant. Other restrictions may apply, and these include: persons that are a fugitive from justice, convicts that have been convicted of a crime that is punishable by a year of imprisonment or a person convicted of domestic violence. All gun stores will be required to conduct a background check on buyers. 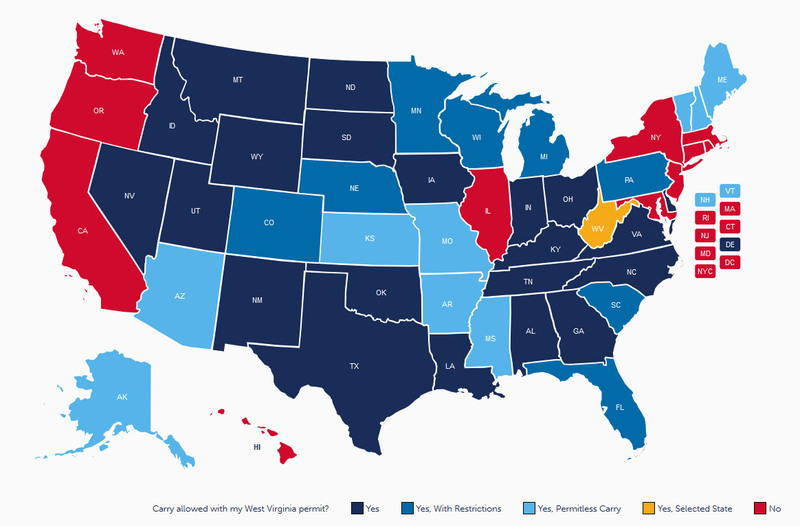 WHAT STATES HONOR A WV CONCEALED CARRY PERMIT? Since you do not need a concealed carry permit in West Virginia, it’s important that you research any states that you visit to understand their laws. You’ll likely need to have a permit unless the state is another constitutional carry state. There are also states that recognize provisional concealed carry licenses and concealed handgun licenses. All other states and territories do not honor West Virginia licenses. You’re also allowed to carry in your vehicle. You do not need to notify an officer that you’re carrying. Unlike many other states, you’re allowed to carry in a restaurant. But if the establishment has signage prohibiting firearms, you may not carry despite this law. For more information visit https://ago.wv.gov/gunreciprocity/.